Please use the tab ‘Click Here For More Conference Details’ given above the conference name (Top of the page), to access more information on this conference. Topic: How hearing and communication disorders determine stress perception and styles of coping with stress? Adjunct Professor, Audiophonologist: Speech therapist, Hearing care Professional. Surdopedagogue, Psychologist. The beneficiary of staff exchange programs Charles University in Prague (2015, 2016), University of Barcelona in Spain (2017), University of Lisboa (2018). Visiting Researcher in North – West University, Republic of South Africa and Ivan Franko National University of Lviv, Ukraine. Delegate, key note speaker and session chair of the conference i.e. in Bulgaria, Latvia, Thailand, Australia, United Arab Emirates. 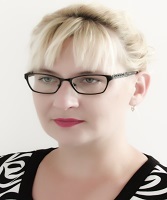 Author of over 50 scientific articles published in Polish and international journals. A member of the Committee for Innovation at the Pedagogical University of Krakow, secretary of the scientific journal Annales Universitatis Paedagogicae Cracoviensis. Studia Paedagogica. Research interests are concentrated around the problem of development supporting of disabled people, biopsychosocial functioning of persons with hearing impaired especially for alternative and augmentative forms communication. An important part of the scientific work is devoted to subject of social inclusion of disabled people and early intervention for children with developmental problems. Currently conducted research: Subjective determinants of coping with stress of people with hearing impairment A system of early support for the development of a child with disabilities in Poland Special care system over d/Deaf children in Poland. Eurasia Research provides professional conference and management services to scholarly associations, institutions and professional bodies.